Fuel Driven Actuators provide actuation force to direct engine control components and provide electrical feedback of vane position to the engine computer. 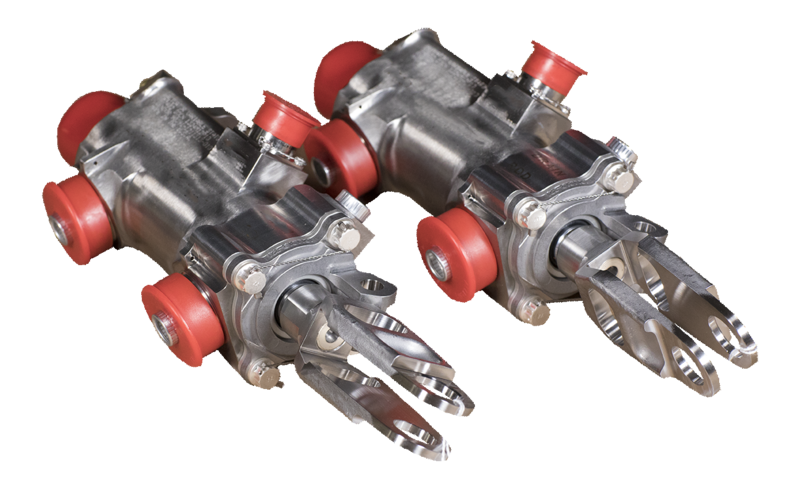 Our stable of proven highly reliable, low maintenance, and fire-resistant designs are capable of >250,000 cycles and operating pressures up to 2,250 psig. We offer multiple mounting options, linear position sensing transducers, 3”+ diameter bores, and 3.5”+ strokes with servo valve applications in master/slave configurations. Many gas turbines incorporate variable geometry features to extend the range of operation and to maximize operating efficiencies. One means is vary the ratio of air flow between the flow passages in the engine. 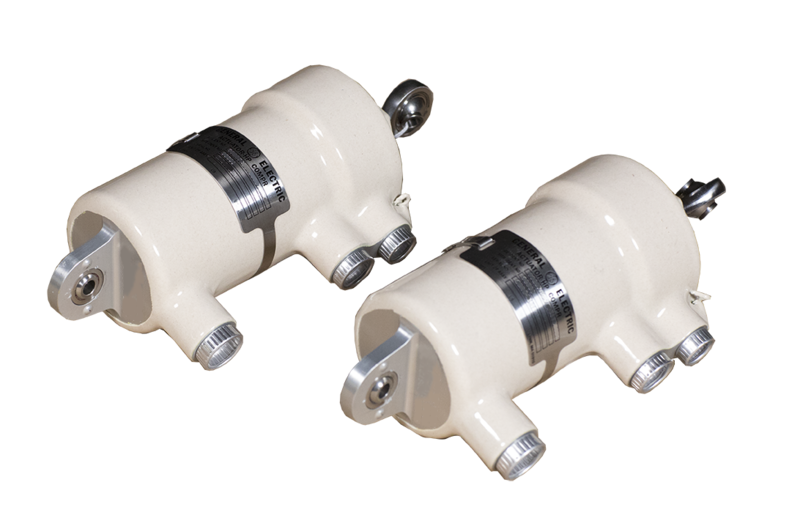 This is accomplished by the use of valves to bypass air flows. For example, an engine could bypass a controlled portion of the low pressure compressor discharge flow from the high pressure compressor and dump it into the fan flow. A major engine feature, to permit operation over a wider range of air flows, is to vary the compressor inlet guide vane or stator blade angles. 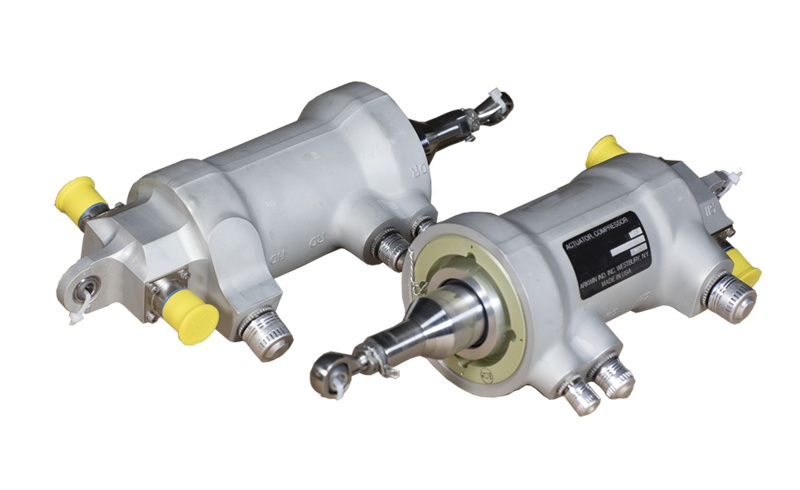 Arkwin’s Engine Actuators have been designed for operation with fuel, engine oil and hydraulic oil pressurization. 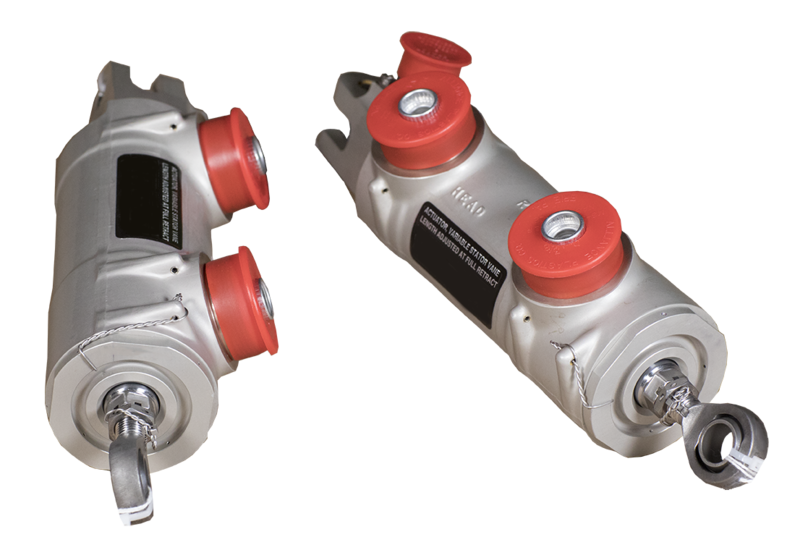 These actuators differ from conventional hydraulic actuators in several areas. A major difference being the incorporation of the fire resistance features necessary to meet engine safety requirements. Two stage sealing is common for both static and dynamic seals. The chamber between the seals is ported to the engine drain. Specifically selected seal compounds allow zero external leakage, long durability life, high temperature resistance, while providing protection in fire. High side load tolerance features are incorporated to ensure long piston life. Cross piston and seal cooling flows are commonly provided. If it becomes necessary to meet extended periods of flame resistance, protective coatings can be applied to the actuator housings. This includes the use of intumescence or ablative coatings. Engine Actuators are frequently exposed to elevated temperature during normal operation. The proper choice of alloys is imperative. Where temperature permits, Arkwin uses aluminum alloys. For higher temperatures, when operating temperatures or pressure requirements exceed the allowables of aluminum alloy, stainless PH steel alloys or titanium alloys can be provided. Position feedback of the actuators is provided by integral or externally mounted LVDT’s. Control of actuators is either through external pressurization valving or through an integral electro hydraulic servovalve. Arkwin’s expert engineering team uses the latest design software to convert concepts into reality for a multitude of installations. Arkwin has designed and manufactured over 125 unique hydraulic actuator designs, incorporating numerous customer options to fit customer specifications. Engine manufacturers rely on Arkwin’s expertise in designing the right actuator to meet their strict design and performance requirements. Arkwin actuators can be found in some of the most successful engine application installations in aerospace, and we continue to refine and develop new technologies to meet the needs of engine manufacturers worldwide. We offer a multitude of integrated control options on all types of actuators.